21 year experience in Business & financial market. 11 year experience in import of non ferrous metal scrap. 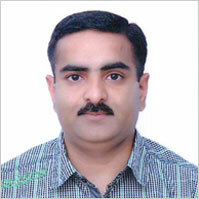 Mr. Anoop Garg is Present Director of the company and part of Management. He has an experience of over 21 years in various capacities and domains. He has been institutional in the growth story of the company. Mr. Anoop Garg, a key part of management, is presently holding the position of Director. Having a degree in B.Com (Hons) from Delhi University, he has been institutional in the growth story of the company, his experience in various domains has crossed the span of 21 years. The ingenious knowledge and extraordinary proficiency of Mr. Garg have enriched the company profile to a great extent. Need help? Drop us a message and one of our representative will get back to within 24 hours.